This post was originally supposed to be out on Women's Day, but lack of time did not let that happen. Next, it was blog anniversary and I got busy with setting up the blog. So here it is today. Better late than never, right? I'm a fiercely independent woman, but I would not be what I am without the love and support of two men. They are the most important men in my life and I love them very much. First is my father. When you belong to middle class family, the birth of the second daughter is expected to create a stir of agony. But my dad was very happy when his second child turned out to be a girl. We were loved immensely and me being the younger one was pampered to the core. Not once did my parents cry about the fact that they did not have a son. We were given all the luxuries that they could afford back then. Right from the best of the education to all other amenities. My dad used to be ridiculed about being poor and having two daughters. But he never showed it on us. No, we were not treated like sons. We were treated like daughters and given everything that we asked for. My father and I have an unsaid connection. We are very emotionally attached to each other. When I passed out of college and went to Chennai for my job, he used to visit me every week. In case I couldn't come down to meet them, he would. With no confirmed ticket and sitting or standing throughout the whole six hour journey from Bangalore to Chennai. When I moved back to Bangalore, both of us very happy. I had never been separated from him until then. A few years later, it was the time for me to get married. I never told him about the guy I wanted to get married to. In fact I never told my parents, they learnt it from someone else. He did not oppose it one bit. He trusted my choice. When he met Cal, they hit it off from the start! My dad knew that this guy would keep me happy no matter what. My father is a very hard working man. Very innocent and very emotional. He has never been treated right by others. But for me, he will always be the first man in my life. I never understood this before. But once I got married and moved into another house, I realized that my parents had treated me like a princess. Not once had my father reprimanded me or laid a finger on me. He just let me be. The strength I have today is all because of him and because of the way he brought me up. I was allowed to pursue anything I wanted. I was not considered a weakling. Till date, our relationship has remained the same. He still will not go without seeing me often. If I cannot get the time to visit them, he plans to come down to see me. And I would do anything for him to lead a comfortable life with a smile. And I would do it at any cost. The second man in my life is my husband. He came into my life when everything was scattered and helped me put it all together. He loved the fact that I was independent and had a mind of my own. The first year of us being together was only about conversations. We had so much to talk about. I liked the fact that we had so much in common and yet we were so different. I learnt so much from him and he has been a constant inspiration to me. I wasn't too sure if I wanted to get married and I asked for some time when he proposed. He waited patiently until I made up my mind. He is my friend first and everything else comes next. My blog just completed seven years a couple of days ago. This would not have been possible without him. He supported me and encouraged my writing. He did not want me to delete my older posts that were written for some one else as it meant nothing to him. He is very secure of his position in my life and that makes me fall in love with him everyday. When I hit a rough patch in writing and when people were expecting me to give up writing and delete my blog, he held my hand and stood firmly by my side. I had my own doubts, but he wanted me to continue doing what I wanted to. Till date, he has no qualms about what I write and the way I write. He reads every post of mine and doesn't expect any justifications. As a husband too, he is just the same. He doesn't want a wife who will cook for him, clean after him and sleep with him. He wants a companion. He doesn't want me to change in any way. He loves the fact that I'm a simple jeans and top person. He loves the fact that I'm so dedicated to my job and my writing. It is difficult to run a house amidst all this, but he doesn't let me feel that. He helps me around the house in every task. He volunteers to cook, when I have a important call or an article to finish. He's in every way the best friend and perfect husband one could ask for. Without his support, I would never have got past the first two difficult years of marriage. Most importantly, I love the way he gets along with my parents. My parents are broadminded and simple people with zero expectations. They love him just as much as they love me and have never considered him as an outsider. In return, he loves them like his own parents too. They make fun of each other and get along very well. If my parent's had felt the need for a son earlier, they no longer do. I like the way he supports my father and helps him understand technology. My parents treat both of us as equals and they love the fact that we are so much in love. They see the love we share and are happy for their daughter. They know that I'm being taken care of well by him and I'm leading a wonderful life. He makes it easier for them to see this. He sees the love that I have for my father and respects it. It makes me feel so happy that the two most important men in my life love and respect each other along with loving and respecting me. I'm a feminist. I'm independent. I'm head strong. And I am all this because of the support of these two men. What a lovely post! 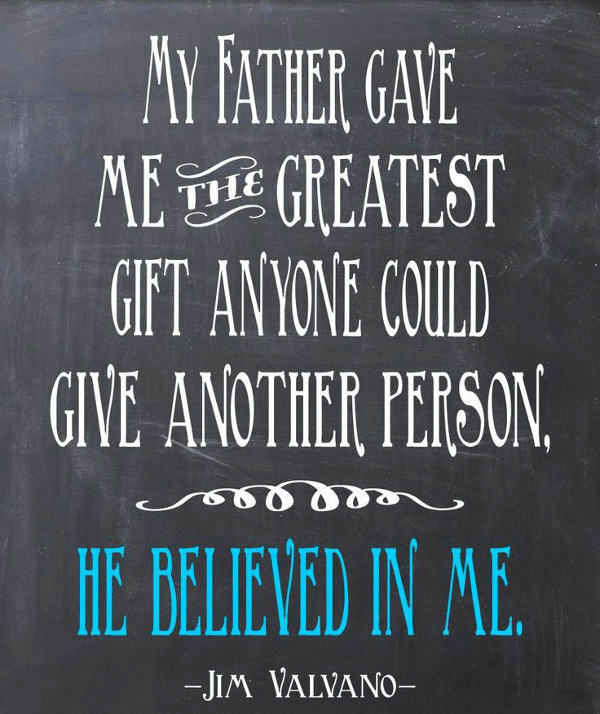 As I was reading this I was thinking of my father and VT. Two most important men in my life too. I feel Papa is like your Dad. Emotional and always around in all love and affection. And VT - well, we are so different yet so alike. Your post made me smile Soumya! Such a heartfelt post. Your dad sounds so sweet and amazing! Thanks Nisha! He sure is. That is such a heartwarming post. You're one lucky girl. It is just wonderful when your husband gets along with your parents. That easy informality and banter is so much better than the formality of our previous generation. Thank you Tulika! Oh yes, it is so amazing. It is wonderful to see our parents and husband hitting off like no other. Its the same with mine too and it makes me relieved to know that they will be taken care of, even if I am not there. I wish more men were like Cal. Secure about themselves and secure about their relationships. It's so awesome na? I'm so glad for you! They are lucky to have someone like You in their lives. Wonderful to learn about the two men in your life, Soumya. Thanks for sharing. Pretty much the same for me. A couple of very close male friends and my sons are the other men who are my pillars of strength. Loved reading about both your dad and husband. What can be better than having a supporting partner at home? God bless! Loved reading this post, Soumya, as I love reading all your posts. Your writing is like you, honest, straightforward and refreshing. Bless you, and both the men in your life. Oh you bet! Thanks Pooja. Very much the same for me. :D I think innocent, emotional Dads are Dads of girls ! Oh yeah that must be it! Your father was ahead of his time and I can imagine people making fun of having two daughters because of the sin called poverty. Sadly, the society has remained static and the change in attitude is a distant dream. Oh yes! I'm glad my father survived it all. This is so beautiful, thank you for sharing those amazing men with us for a little while! Love the way you talk about them, respect and love just oozes from between the letters! You're definitely a lucky woman! I sure am. Thank you Miss Andi!